I read this article and wanted to share it with you: Update from a missionary you may know https://blog.sonlight.com/update-from-a-missionary-you-may-know.html. In 1962, a farm girl from California hiked through the Filipino jungle. She and her colleague from Wycliffe wanted to translate the Bible for a tribe of former headhunters. Just last month, John and I got to meet this missionary in person! We heard her speak and then shared dinner together. How fun to get an in-person update from a woman who has inspired me for so long. 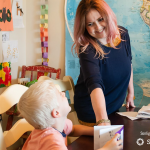 If you've used Sonlight Core C, you know who I'm talking about: Joanne Shetler recorded her amazing story in And the Word Came with Power. Joanne trekked through the jungle to tell the Balangao people about Jesus. At first, the Balangao couldn't understand why she had come. They thought she had come either to steal their language or to find a husband. As people without a Bible, the Balangaos lived in constant fear of the spirit world. They struggled to raise enough animals for all the sacrifices the evil spirits demanded. The prayers of Joanne's sending church helped change the situation. After Joanne's first furlough, the congregation changed their prayers from a simple "Lord, bless the missionaries" to "God, show the Balangaos that you're stronger than the spirits. Make the Balangaos desire you; help them believe your Word." 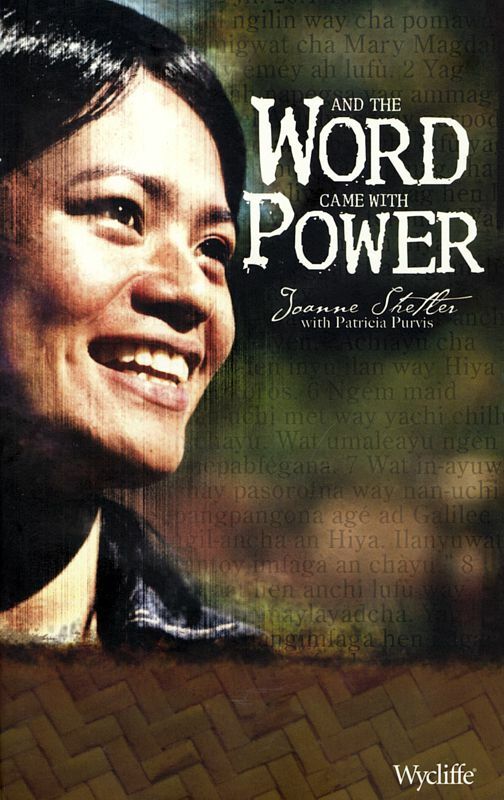 Once the church began to pray, Joanne asked her "father" (the man who protected and cared for her in the village) to correct the grammar in the Bible passages she was translating. In the Balangao culture, fathers correct their children, and children don't teach. This setup was perfect. As her "father" read the words, he commented, "This is really good." Then he started to ask questions: "Where do people come from? Where does trouble come from?" He brought others with him to ask more. One man asked "What is it that you say to God when you want to become one of his children?" And then, "Is it OK if we tell this to other people?" Most Balangao people were terrified to stop sacrificing to the spirits. They knew the spirits would retaliate. But then the spirit mediums themselves burned their spirit paraphernalia. They turned their backs on the evil spirits and pledged allegiance to God. Everyone expected them to die immediately. But they didn't. And so the Balangao began to seek this God who defeats the spirits. Through miracles and unexpected ways, God has brought many of the Balangao people into His family. The joy and freedom they found has been contagious. Now they want to share the Good News with others. So Balangao men and women have gone out to do translation work among other peoples in their area. One man, Ignacio, declared, "God called me to go to a people who have never heard." He then went to the next valley over to a people known for tribal killing, the Madokayan, in order to translate the Bible through the Seed Company. Joanne shared that Ignacio has almost finished the Madokayan New Testament translation! You can "meet" Ignacio in a short video or read his first-person testimony on the Balangao Blog. Ignacio's daughter hopes to serve as a Bible translator somewhere in Africa. Balangao translators currently serve in China and throughout Papua New Guinea. Praise God for the multiplication that happens when a people hear the Good News for the first time! As we once again celebrate this Christmas the Word becoming flesh and dwelling among us, may we remember the 1,969 people groups who still need the Scriptures in their own heart language. May we remember to pray for the translators who labor to break the power of the spirit world. May God bring many more into His family! P.S. Joanne mentioned how fun it is to receive emails from Sonlight students who were impacted by her story. I loved this story of one Sonlight family who found the Balangao blog and contacted Joanne. How exciting for Taryn's kids to receive a response from a missionary/author! Where are they now? Updates on past Sonlight Scholarship winners. Thank you for the update. How exciting to hear! We also had a link on the forums for an update on Peace Child. That was such a beautiful story update, too. My children and I just stopped by to read the update, as well, since we just finished "And The Word Came With Power" this evening. What an exciting story! Many times I was in tears as we read together of how God showed Himself strong to the Balangao people! The Balangao blog hasn't been updated since August 2012 - is there anything more about the project, that you know?